The Statue of Liberty is a famous monument of New York City. Millions, perhaps billions of photographs have been taken of the statue. 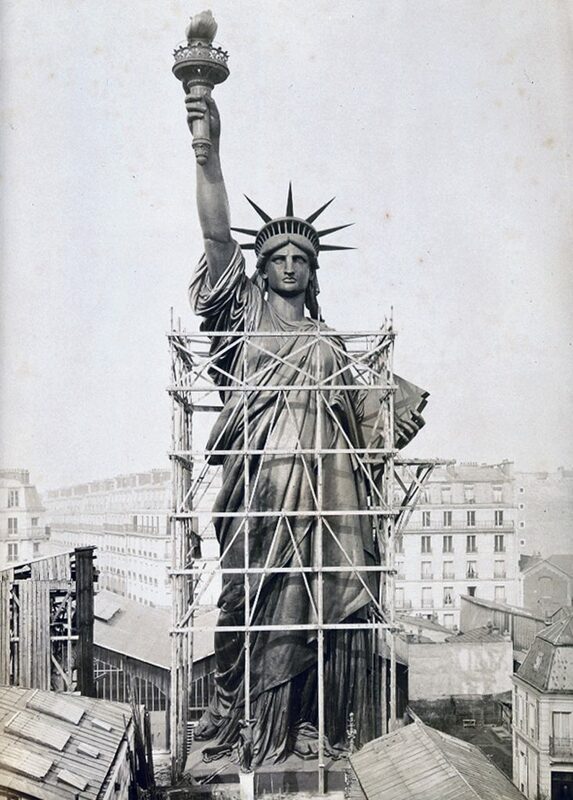 Very few people have seen the photograph taken in 1884 Paris of the Statue of Liberty under construction though. All that can be see is the side of her hand and arm as men are working directly on the statue or are working at wooden tables just to the side of her. The photo is likely not seen since everyone wanted to take a photo of the after result and not the before.